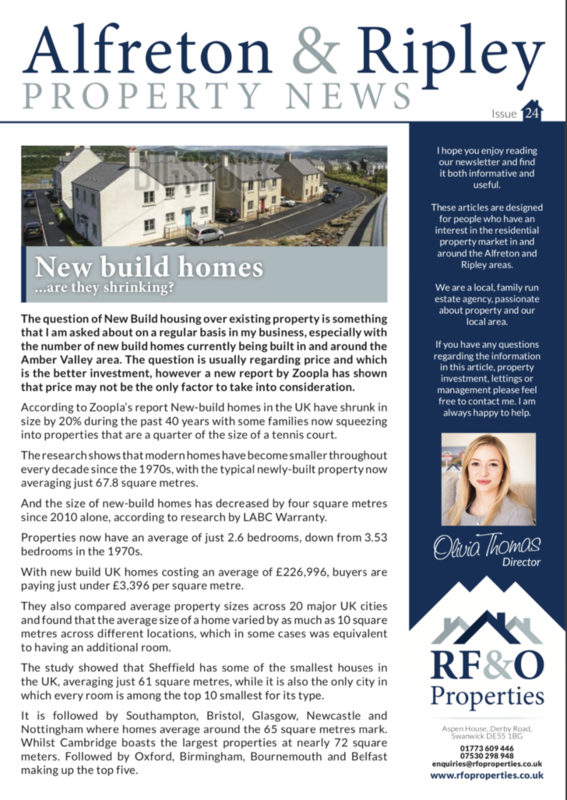 RF&O Properties also produces the Alfreton and Ripley Property News. 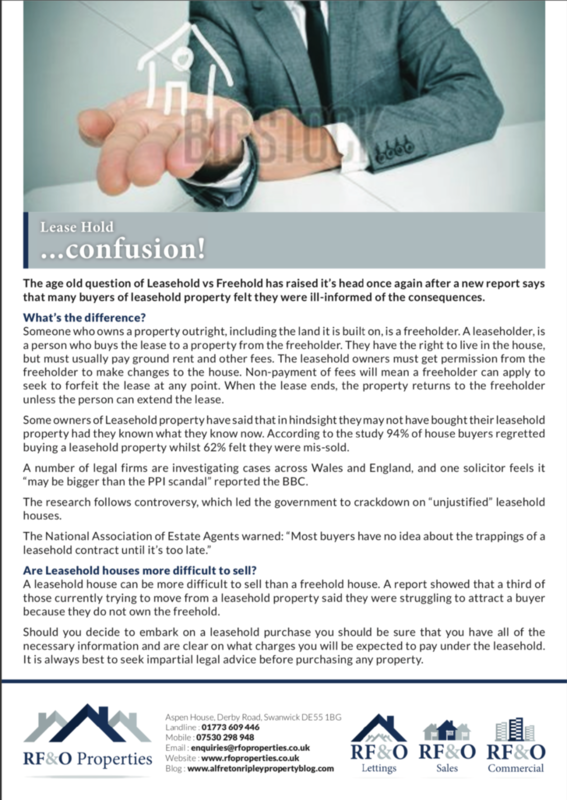 A monthly publication which explores the vibrant and ever-changing property market in the local area. Due to the positive response received we are pleased to announce that we have increased our circulation to over 16,500 readers. If you would like to subscribe to the Alfreton and Ripley Property News please use the enquiry form on our Contact Us page to request a monthly copy or to download the digital version please visit the Alfreton and Ripley Property Blog where you can find many more property industry related articles, including our investment property of the week!